Look for Turtle Safe Toy Boxes at the Beach! Turtle Safe Toy Boxes are designed as "borrow boxes" that allow beach visitors to borrow a toy to use at the beach or leave toys they no longer want. Leaving behind toys for other children to play with is a great idea! However, they often get washed into water and subsequently begin to degrade and break into smaller pieces of plastic that can easily be ingested by marine life, including sea turtles. 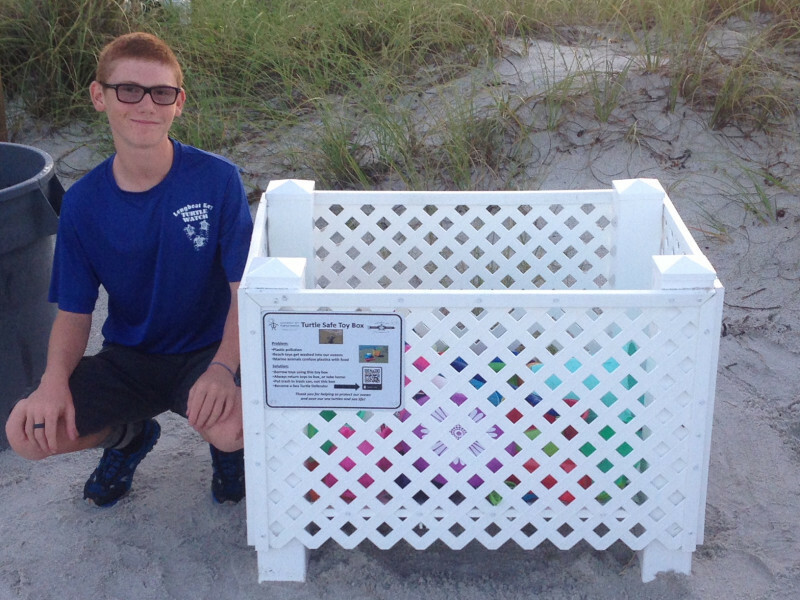 So, one of our Longboat Key Turtle Watch volunteers, Caleb Jameson, designed this toy box to help keep toys from washing into the ocean and endangering sea life. Caleb's first box is located at 4621 Gulf of Mexico Drive, Longboat Key, Florida (Case Del Mar). 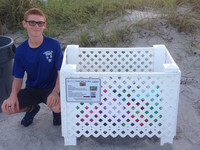 Funding for his first box came from grant provided by Klean Kanteen through the Youth Ocean Conservation Summit. Look for more boxes to be deployed soon! If you are interested in sponsoring one of these boxes and having it installed at your property, please email us.